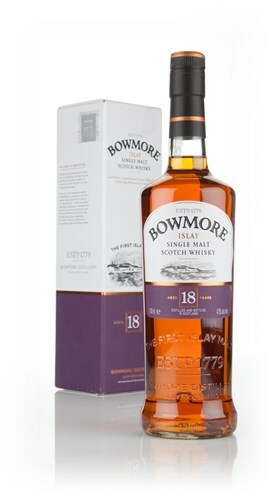 Bowmore... The distillery r/Scotch loves to hate. French whores, chill filtration and colouring aplenty. It's got it all. However, lets not moan too much as there's some great ones out there! Let's start with the 12yo. It's a bit of an odd one because I had a good batch in 2014 that impressed me and I had it again when I visited the distillery and it was very one dimensional. The notes and score are a combination of the two. 2015: Oily, waxy, candles, malty, cereal, brooding smoke, ash, grassy heather and hay. 2016: Marzipan and more marzipan. Some smoke. 2015: More smoky than the nose. Quite oily, grass, hay, peat smoke, burnt twigs, salt, black pepper, toffee and a metallic note- iron. 2016: Marzipan and honeyed sweetness. A bit flat from the abv without much development. 2016: Marzipan and some smoke. Wasn't expecting this to be as good as it was, 2014 tasting. A much less complex experience at the distillery, 2015 tasting. Darkest... Finished in fine old Sherry casks. 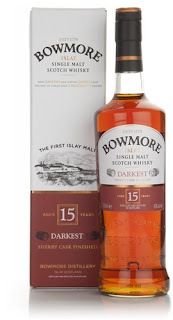 Matured in the oldest warehouse, in the oldest casks from the oldest distillery in Scotland! Well, still only 15 years old, no matter how many times you say old. Seems very silly to draw attention to the colour only to add artificial colouring anyway. I tried this in Whisky Shop in Guildford (over priced but really nice people). Nose: Sweet, richly sherried and smoky. Light Bowmore peat smoke, raisin, thick toffee, fudge, grape, orange. Water: Coffee and chocolate develop. Taste: Peat smoke and sweet sherry, raisin, orange. Slightly sour notes develop- Sour orange? Going slightly rubbery into the finish. Water: Softer with chocolate and coffee. Finish: Medium length. Sour and rubbery sherry. Matured in Bourbon barrels for 12 years. Finished in sherry casks for 3ish Years. Nose: Very fruity, sweet, sherry, spice, sour stone fruit, raisin, plum, slight malty smoke. Taste: Silky and smooth but not very full. Sweet sherry, raisin, plum, going sour with more plum and some spice. Malty peat smoke. Finish: Short/Medium length. Disappointing on dark chocolate. I tried this at Bristol Whisky Lounge last year and found it to be disappointing. This would cost you about £95 and I'd rather have a tonne of other whiskies at this price range.